Music Man Blog: CD Review: "Muddy Waters, 100"
CD Review: "Muddy Waters, 100"
"Muddy Waters, 100" is a new tribute Album that was recorded in honor of Muddy Waters on the occasion of his 100th birthday. Muddy Waters is to Blues what Elvis was to Rock & Roll! Producer, Larry Skoller has gathered some of the best Blues musicians still performing today to record 15 classic Muddy Waters' songs. Because of the importance of this CD to the Blues world, I asked Blues "Aficionado" Tim Marchio to do a guest review of this wonderful CD. When I first received this assignment, I was excited because Muddy Waters is one of the giants of the Blues genre and has influenced pretty much everyone in Blues and Rock. As per the press materials accompanying the CD (which comes in a hard cover book-like case with exceptionally well done liner notes), “This officially authorized centennial tribute to Muddy Waters . . . . celebrates, commemorates and contributes to the musical legacy of this American icon”. This is not a typical “tribute” album. 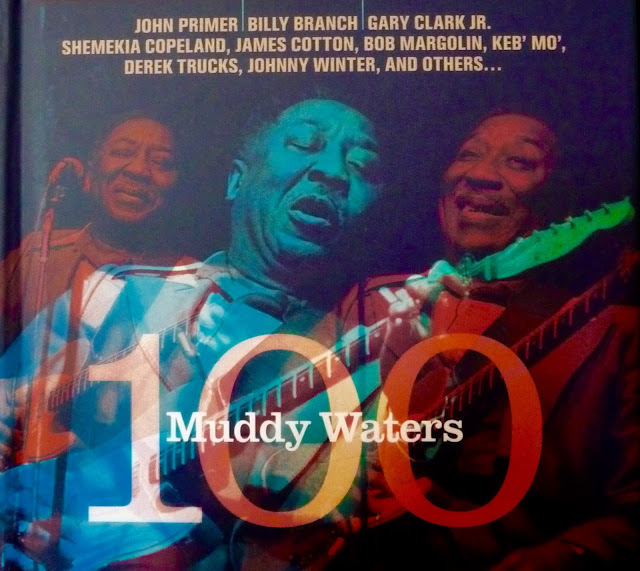 Muddy Waters 100 contains 15 newly recorded tracks of his music featuring band alumni and several of today’s blues and roots artists, including Johnny Winter, Derek Trucks, James Cotton, Shemekia Copeland, Bob Margolin, Gary Clark, Jr., Keb Mo and John Primer who played with Muddy until his death in 1983. The Blues is a uniquely American musical genre that has its roots in the 1800s when African American slaves were singing work songs, spirituals and field hollers while working on plantations. It is about hardships and is strongly personal. The Blues is more about feel than about construct. Muddy was born in 1915 (some say 1913) in Rolling Fork, Mississippi. He worked in the cotton fields and started playing harmonica at age 7, then picked up the guitar at age 17. In 1943, he moved to Chicago and changed the landscape of the Blues. 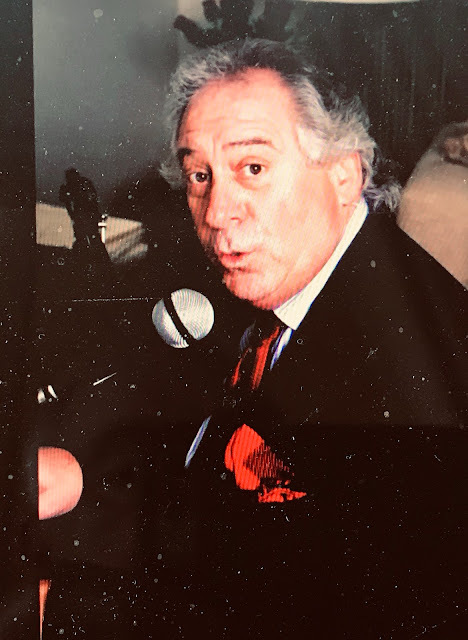 The full story is quite well documented in the essay included in the CD booklet, written by Robert Gordon, author of “The Life and Times of Muddy Waters”. Now to the music, the songs range in years from 1941 to 1978. As is typical with most Blues classics, many of these songs have been covered numerous times by many artists in many genres (e.g., "Mannish Boy" has been covered by virtually every major Blues artist and the likes of Hank Williams, Wolfmother, Erykah Badu). Having already named that song, "Mannish Boy" is the most visceral song on the album. The first time I played it, I was taken aback. It sounded old and new at the same time (one quick note, the recording itself is done masterfully with excellent mixing and engineering. It sounds fantastic). As stated above, some of these songs have new arrangements and this one just nailed it. I keep playing it as loud as possible in my car. This arrangement and performance allows me to feel the song, not just hear it. And this is indicative of the whole CD. When I hear “tribute album” with “special guests”, I think - oh no, here we go again. In many cases, the guests try to show off or take over a song. Not so here, each artist plays within the framework of the song. In “I’m Ready", Johnny Winter plays along with the song; he doesn’t overplay. The other guitarists here do the same. Derek Trucks, Gary Clark, Jr, Keb Mo, and Bob Margolin are great guitarists and could easily play to impress. It is similarly the case with James Cotton, Billy Branch and Matthew Skoller on Harmonica. In each song, the band and guest play to respect the man and the song. They are there to support, not to shine on their own. This is a lovingly put together tribute to an American icon whose songs have already stood the test of time and will continue to do so as new artists take over and continue what Muddy and others like him started. Get this CD, you will not regret it, even if you only have a passing interest in the Blues. 1. "Got My Mojo Working" 2. "Still A Fool"
3. "I Be's Troubled" 4. "I'm Ready"
5. "Mannish Boy" 6. "Rosalie"
7. "Why Don't You Live So God Can Use You" 8. "Good News"
9. "Trouble No More" 10. "She Moves Me"
11. "Can't Get No Grindin" 12. "40 Days and 40 Nights"
13. "Last Time I Fool Around With You" 14. "I Feel So Good"
15. "Feel Like Going Home"
I have attached a "YouTube" of the first cut in this CD, "Got My Mojo Working", enjoy! CD Review: "Janice Friedman Trio: Live At Kitano"